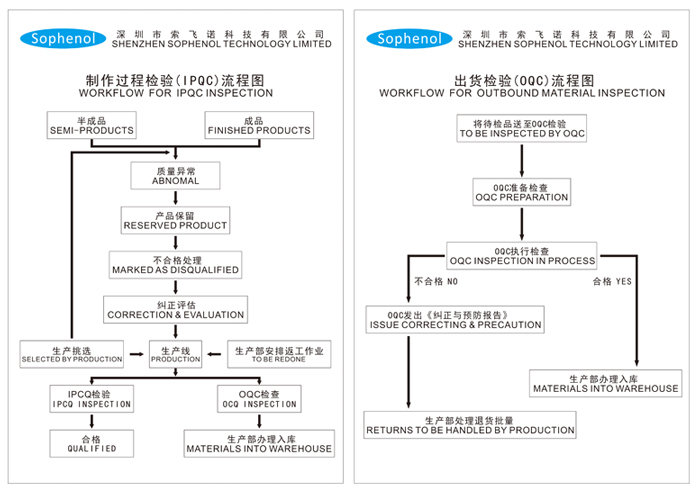 Incoming material quality control according to both R&D documents and customer's approved samples. Manufacturing process quality control under the support of our P&E department. Final quality control before shipment under the decision of customer's QC staff and also our P&E department and our QC department, rejected products are returned to related process. With six standard production lines and 120 skilled workers, our daily production reaches 10,000 pieces, which enables us to deliver your order promptly. Moreover, we have been handling OEM orders for more than 5 years and we have obtained good reputation in quality control and prompt delivery. We can meet your OEM/ODM requirements exactly to your specifications.